What a wonderful day it is when you find out something you love, is also good for you! 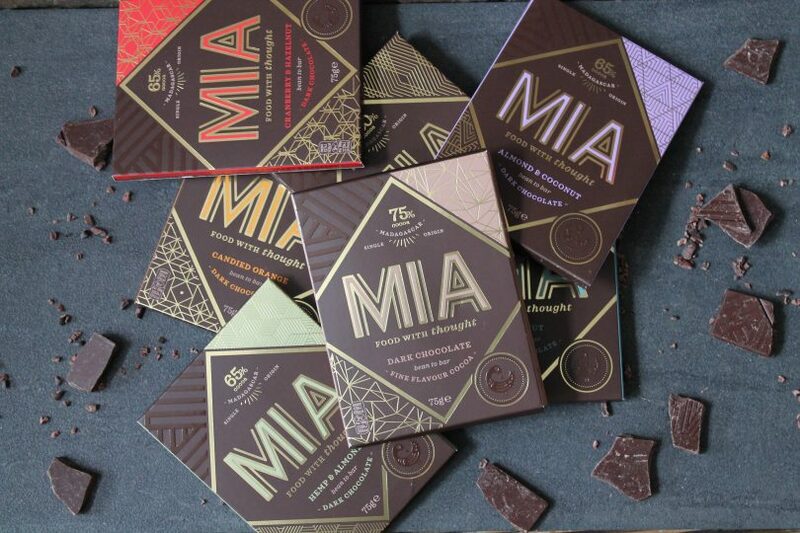 Below are 11 reasons why eating chocolate with over 60% Cocoa (just like MIA) may be able to help your body and mind in all sorts of ways..so get munching! Dark chocolate is packed with antioxidants which help clear your body of free radicals which can cause damage to your cells. Although free radicals sound pretty fun, in fact they can help quicken the aging process. The flavanols in dark chocolate are thought to help protect the skin from sun damage. Potassium, Copper, Magnesium and Iron are all found in dark chocolate which help against a number of health problems including cardiovascular issues, anaemia, type 2 diabetes, high blood pressure and heart disease. More than enough reasons to always keep a slab of MIA handy! Increasing blood flow to the brain, as well as the heart, dark chocolate can improve cognitive health and memory. Flavanols are thought to reduce memory loss in older people too. Yes and not just because MIA is so delicious but it also contains several chemicals that have a positive effect on your mood. Dark chocolate contains the same chemical your brain creates when you’re falling in love and releases endorphins making you feel happier! We think we’ve found our soul mate! As it contains theobromine, something which hardens tooth enamel, unlike most other sweet treats, it will lower your risk of getting cavities. This in turn, with a good dental regime could make your teeth sparkly white. Some research suggests eating just a small amount of dark chocolate each week can lower your blood pressure, improve blood flow and may help prevent the formation of blood clots. Although dark chocolate contains caffeine, it has much less caffeine than coffee – so if you want a boost of energy it’s perfect and won’t cause a huge spike in blood sugar levels. Research carried out in Finland found that chocolate reduces stress in expectant mothers, and that babies of these chocolate consumers smiled more than the non-choc eating mums. Dark chocolate has anti-inflammatory qualities which have been found to be beneficial in treating brain injuries, such as concussion. Packed with minerals such as potassium, zinc and selenium which help your body grow, develop and stay healthy. Well MIA definitely is. Our chocolate is made at source in Africa – meaning Madagascar’s economy and local communities benefit nearly four times more than if we just bought the cacao from and exported it to make the chocolate in Europe. One percent of all sales are also dedicated to development projects in places where a little goes a long way. Whether it’s projects to improve a community’s livelihood or help wildlife and conservation, the scheme is central to what we do. We like to think we go further than fairtrade – a fairtrade 2.0. It means when you eat our bars you’re not only enjoying a delicious Madagascan chocolate, you’re also doing good. Taste and soul satisfaction all in one.